We spent bits of today wandering around various places looking at buggies, cots/toddler beds and the like. Not getting any of that till we have been officially linked and met foster carer. 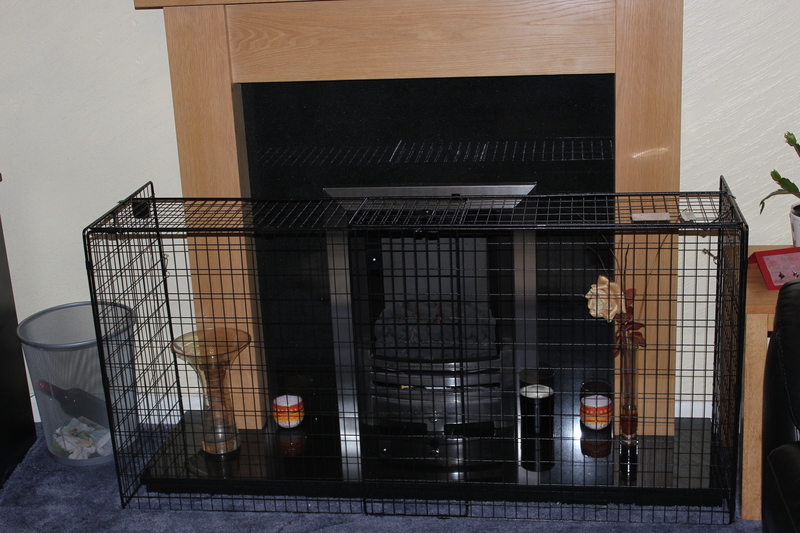 However we did get something that has been on the list for a while – namely a fireguard. 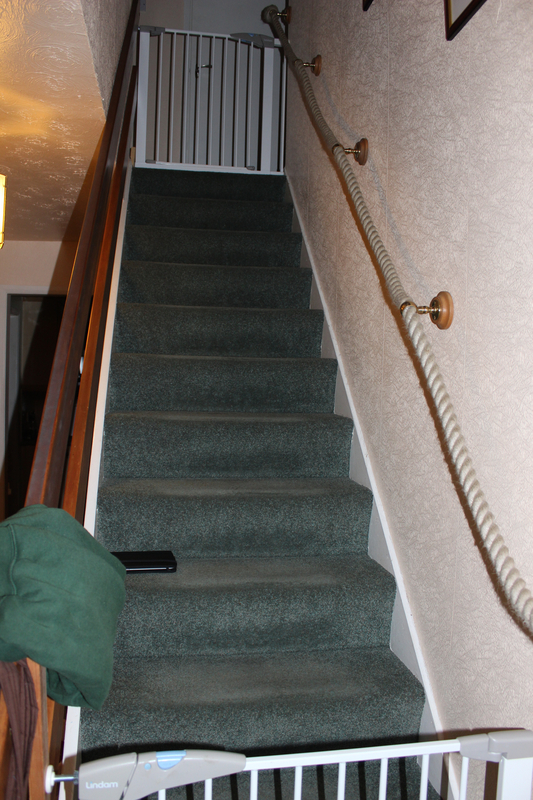 So that is one more item off the list – poor Henry is getting used to these stair gates – particularly one at top which means he can no longer get into bedrooms. Well not until he learns to jump it that is. Main fun for him will really start when we put the gate into kitchen doorway – we have no door – it now is the cupboard door on landing (don’t ask it is a long story :D) This gate will block him from food and his cat flap – so we are suspecting we made need to find some way to make it easier for him to jump over. I wish somebody made a child gate with a cat flap in…..
Well I have finally found time to blog again although it isn’t going to be a long one. I hate Clearing…… Well actually I don’t it just takes a lot out of me and involves me working 8 days solid – finally got some time off today. Shall see how we are doing when I go in on Tuesday – it’s been tough again this year but we were getting there as of yesterday. Anyway enough of my work life – time to talk about what this blog is supposedly about. We had the meeting with our potential link’s SW today. In fact as T put it later we had SWs in our house today for the longest time thus far in the process as ours arrived at 1.15 and left at 4.45. She came early to discuss the child’s SW questions with us before she arrived at 2.30 – which we both felt was valuable. Also finally managed to show her the fence round the patio which was partially her suggestion in the first place. It is now partially painted so doesn’t quite look like it does below. Warning very rambling post – which is an indication of my state of mind at the moment…..
As T put it earlier this has been one interesting week. Starting with panel on Monday which was a real high and is still sinking in to be honest even if we had phone call on Thursday to tell it it was all final. Following that I worked Tuesday then have had three days with only partial working ( thankfully summer with no project students). I had what I thought was a migraine Wednesday morning which wasn't that unexpected – I tend to get them after stress has calmed down. But it never properly went and got worse so I looked at blood pressure. It was up beyond the tipping point for me so off to the Doctors I trundled on Thursday to get my dosage increased as we had thought may happen. Slowly sorting but I wish I didn't get these spikes in BP. Hopefully this dosage should keep me stable- T (being a pharmacist) has always said I may need a higher dose than I was initially on. Well today is August 1st and hence it is Yorkshire Day. I was born in Harrogate and lived there till I was 21 months old. Then we moved away and all over Eastern England till we moved back up to Yorkshire when I was 17. I’ve basically lived here ever since (21 years now and counting). Mind you I am the one of us (two younger siblings) who sounds least like they come from Yorkshire even if I am the only one born here…. In many ways Yorkshire has been the steady place in my life – I lived in 8 houses with my parents before I finally brought my own place – and went to 7 schools before university. Throughout all that I had family in Harrogate until after we moved back up here. Two parts of the country are ‘home’ to me – here in Yorkshire particularly amongst the Pennine areas and East Anglia (Norfolk & northern Suffolk). They are the areas my grandparents lived in so I have many memories of them – well pictures in my mind.